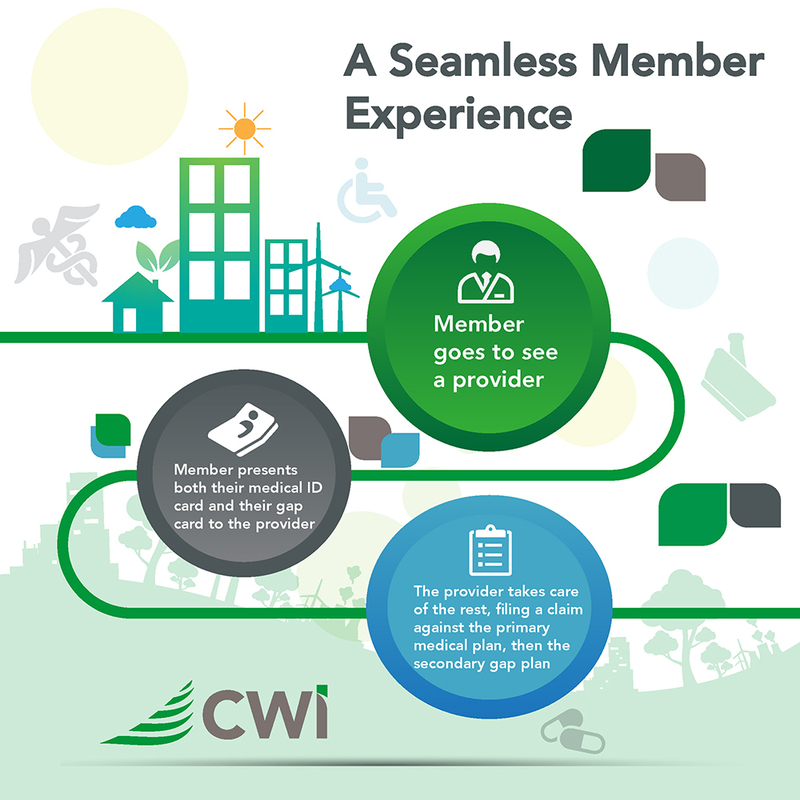 With the CWI Gap Plan, get employees the additional coverage they need to alleviate the financial burden of high out of pocket expenses. 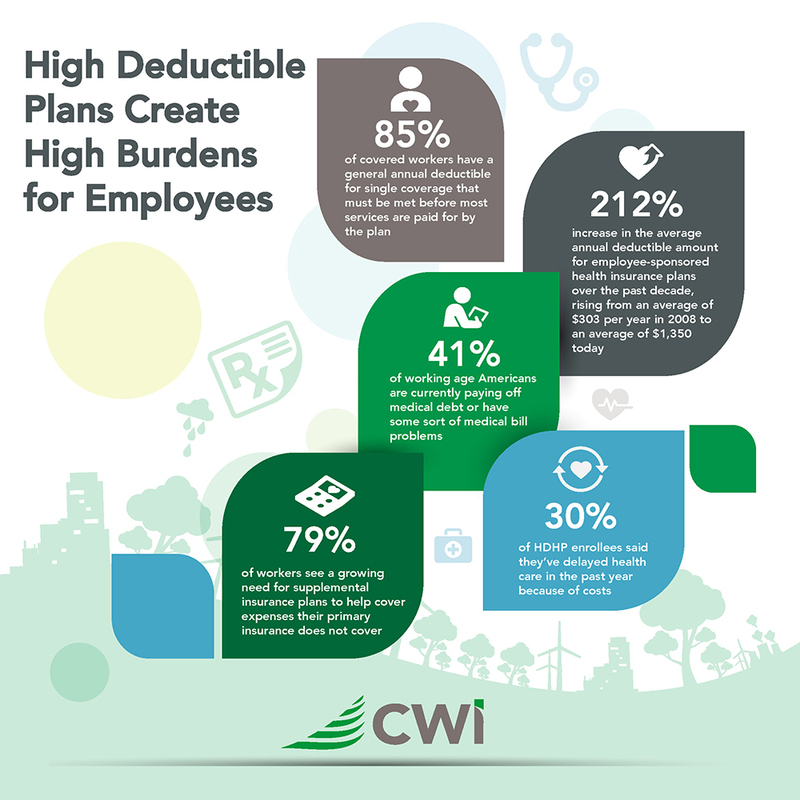 Gap Plans are specifically designed to “fill the gaps” of an underlying major medical plan by reimbursing some of the individual’s out-of-pocket expenses. 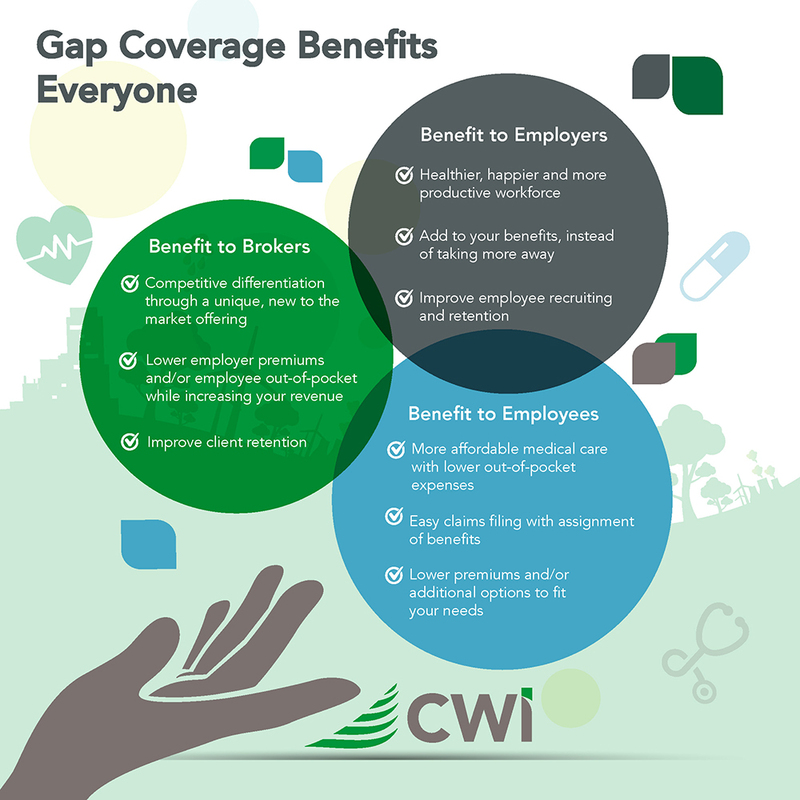 The CWI Gap Plan provides additional quality coverage at affordable prices as part of the employers benefit strategy or on a voluntary basis for employees.